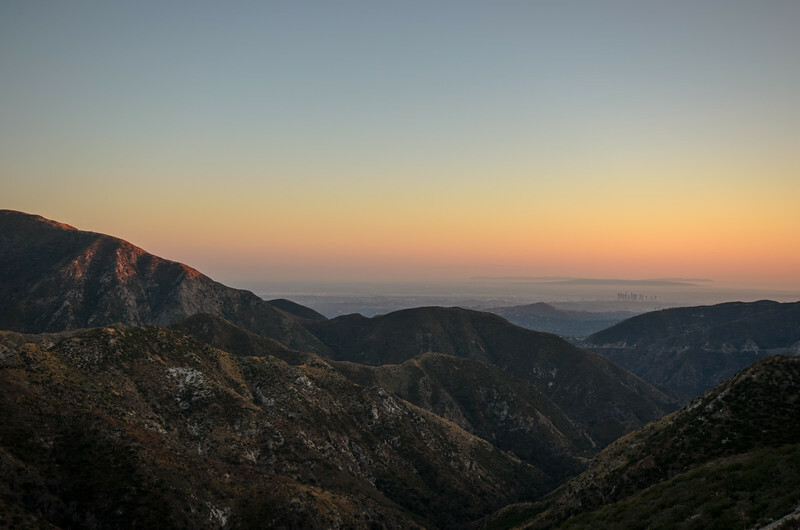 I was hiking in the Angeles National Forest yesterday and when returning home stopped at the pullouts on Angeles Crest Highway just below Red Box for one of my favorite scenes -- the distant view of the L.A. metro area at sunset. I shot this one with my relatively new 10-24 wide angle lens out of curiousity. I just wanted to see how it would do at such a distance and, besides, I like putting man-made things into some kind of context with the surrounding landscape. Here's a photo I took from almost the same exact location last Christmas Day, using my telephoto lens. Better sunset that day for sure. But I like them both. The wide angle lens is ridiculously sharp, the telephoto lens gives the primary subject, downtown L.A., more attention. Find these photos kind of interesting? Visit my SmugMug page for more and follow me on Twitter.